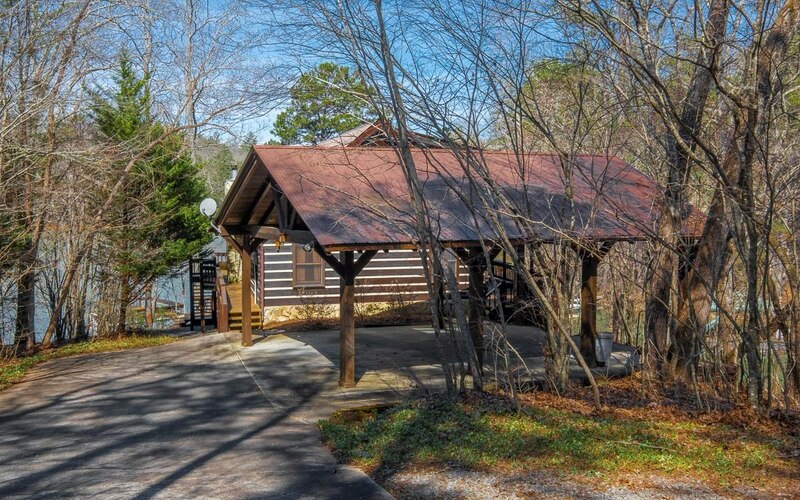 Year round deep water front..true chink log cabin on a beautiful point lot in Star Creek Estates. 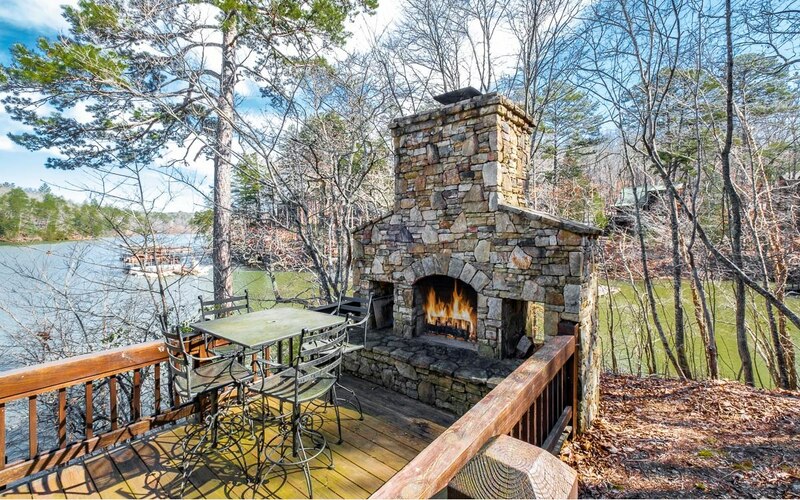 Relax at lakeside and enjoy a fire in the massive stone fireplace just steps from the dock and cabin. 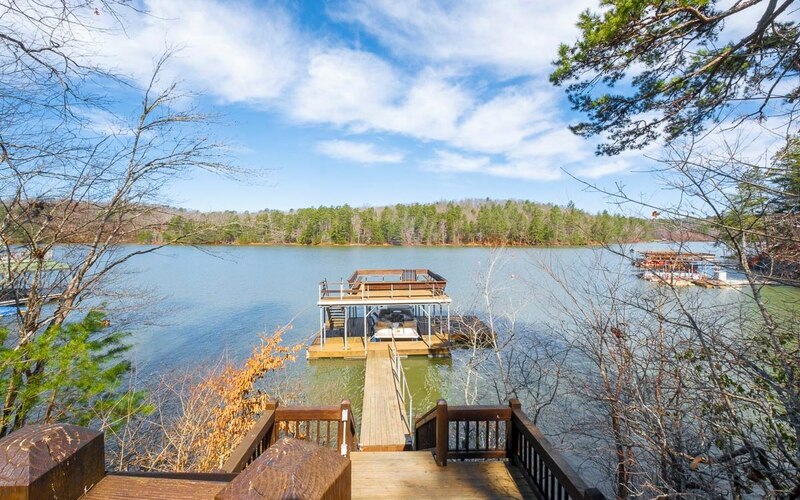 Open concept main level living with fabulous views from all three levels. Plenty of room for the kids on the lower level with a room perfect for bunks and a living area large enough for a pool or ping pong table and comfortable seating. MLS/IDX data provided by the Northeast Georgia Board of Realtors. 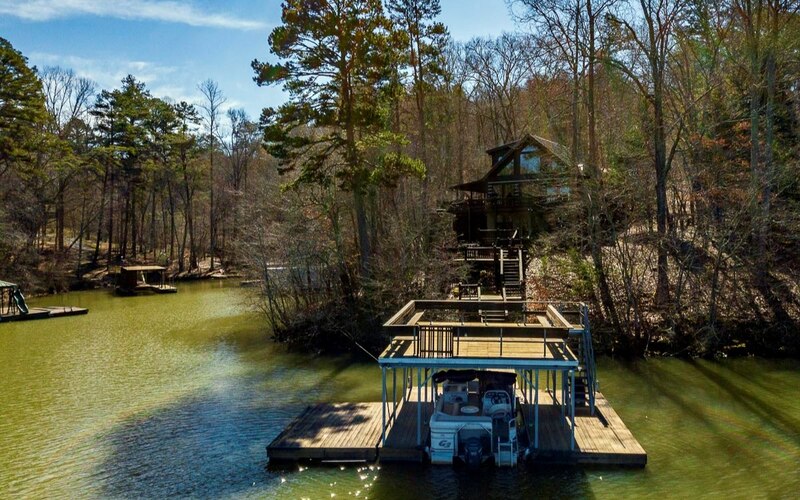 Listing provided through broker reciprocity by Coldwell Banker High Country Realty - Blue Ridge.